The destructive force of nature can be observed and enjoyed in this shakable toy. 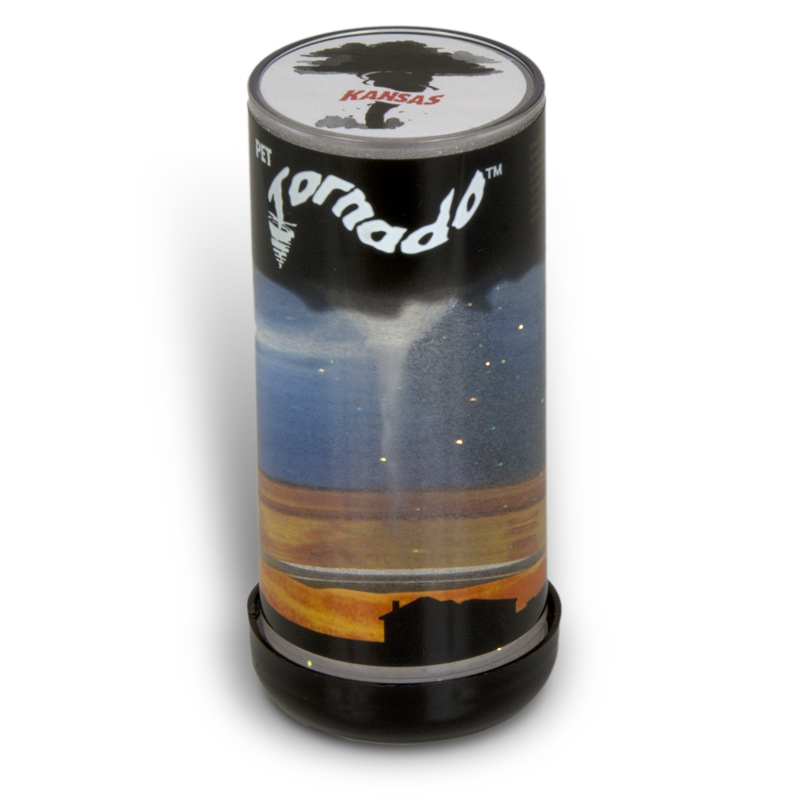 The pet tornado forms a rotating funnel, tornado information included. Although the chance of being in a tornado or even seeing one is remote, the tales of encounters and eyewitness stories make twisters fascinating to study. This is the perfect supplement to learn about weather. Made in USA.